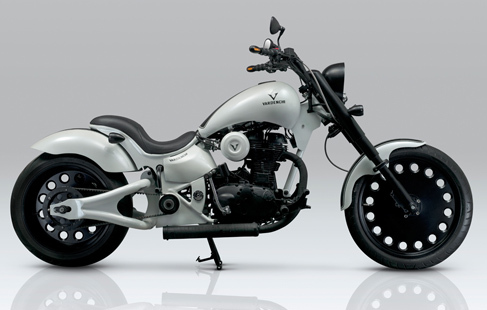 Vardendi is one of the biggest custom motorcycle manufacturing names in India. 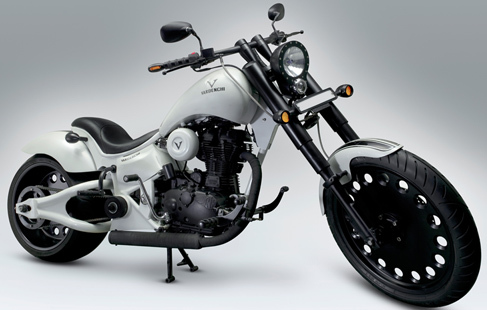 Based in Mumbai, Vardenchi Bikes builds custom machines according to the description of customers. They make things from nothing, also if you have your old machine and you want it to be transformed to be another machine, you can surely ask these guys' help. They can do a lot here. Currently, Vardenchi sells 4 models in the country. They are branded as Infinity, Slayer, Turbo, and Sunburn. Below is the image of Vardenchi Dragster. The price is INR 5.69 lacs. The donor Bullet 500 costs Rs 2 lakh, and the Vardenchi mod costs another Rs 3.69 lakh. 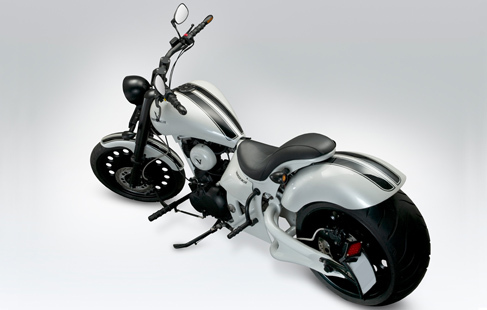 Fat rear tyres work for custom motorcycles. More so, if you’ve got a 300mm fatty at the back. A motorcycle that has seemingly been built around that obese Avon chunk of rubber at the rear. It takes a lot of power to just get a tyre that wide to spin, and nothing less than a 500cc motor borrowed from a Royal Enfield Classic would do.